With All Time Low's fifth–wow, that's crazy awesome to say!–full-length album, Don't Panic, coming out tomorrow and the band gracing our cover this month for issue 292, we took a minute to collect a few gems in the boys' back catalog that are totally jam-worthy, even if they didn't get star treatment during their respective album cycle. We figured you all knew “Dear Maria, Count Me In” and “Weightless,” so we'd try and find the deeper cuts from their albums. Be sure to pre-order the new album physically or on iTunes now and snag a copy of 292 with the band on our cover here. 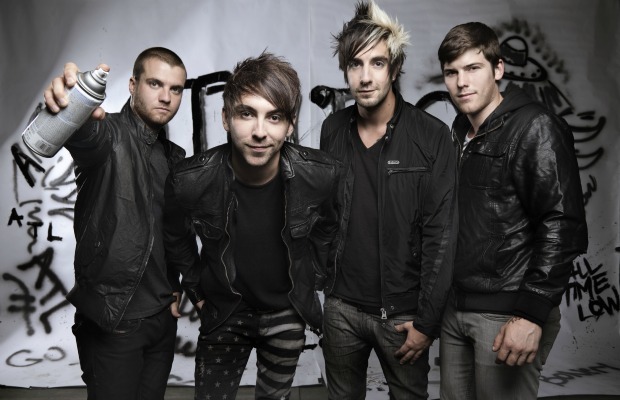 Be sure to let us know what your favorite non-single ATL songs are down in the comments! This list is in chronological order by album release date. Jumpy, a tad intricate and filled with huge hooks that showed exactly where frontman Alex Gaskarth was headed with his melodies. Rough around the edges, but this song showed so much promise. The chunky palm-mutes made ATL seem heavier than ever and the harmonies during the chorus made it huge without sounding like arena rock. The song held onto heavier verses and huge choruses, fit a crescendo in the bridge and managed keep it super catchy all the way through. As the band's sound expanded with this album, it still burst straight out the door with a banger. The song blitzed by with a punk beat through most of it and then punched into a gang-shout-laden bridge, both which may cause the only circle pit at an ATL concert. Perhaps the most controversial pick on the list, “Come One, Come All” bounces along at a steady pace and finds itself representing the place and time of So Wrong It's Right well. It nods through jagged verses and a chorus that is just a tad off-kilter, but still extremely catchy. A tad electronic in the beginning before sliding into a huge pop-rock, head-bobbing chorus was a distinct change from the standard guitar-bass-drums-vocals arrangements. Arguably the band's best closer with double-time verses, a massive chorus and a vampire reference, the band's final major label track left you with a solid taste in your mouth.